The Home of the Mother at the canonization of Saints John Paul II and John XXIII in Rome (Italy), April 27, 2014. Raffle of an icon of our Lady of Vladimir, April 27th, 2014. XXXII Holy Week Encounter in Torrent, Valencia (Spain), April 17-20, 2014. 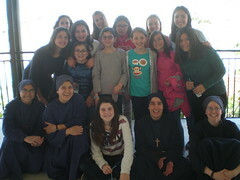 Girls' Get-together in Macael, Almería (Spain), April 2014. Our Faith will not be extinguished! Third Holy Week Encounter in Brignano, Bergamo (Italy) April 2014. 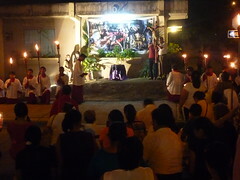 Holy Week Encounter with the Home of the Mother at Swan Lake Camp in Melrose, Florida. April 17th-20th. Eucharistic missions in Galicia given by the Servant Brothers of the Home of the Mother during Lent of 2014. Which camp is the best camp? Our Lady of Mt. Carmel’s! 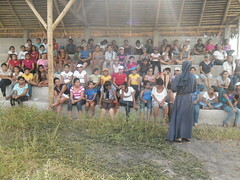 Girls Camp in Manta, Manabí (Ecuador), March 26 thru April 2, 2014. 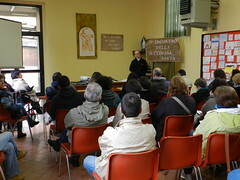 Meetings for mothers in Lumezzane, Brescia (Italy). 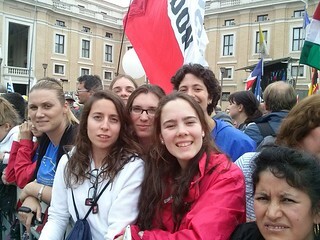 Tamará Falco gives her testimony of conversion in Móstoles (Spain), on April 4th of 2014. Girl’s Encounter in Lumezzane, Brescia (Italy), April 2014.